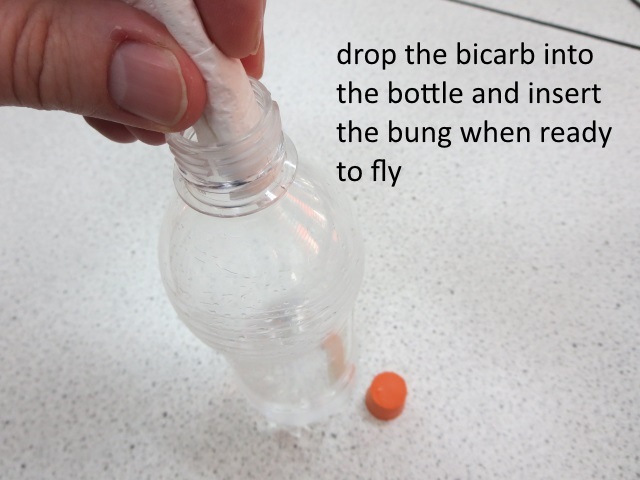 Bicarb rockets are fun to make and launch. 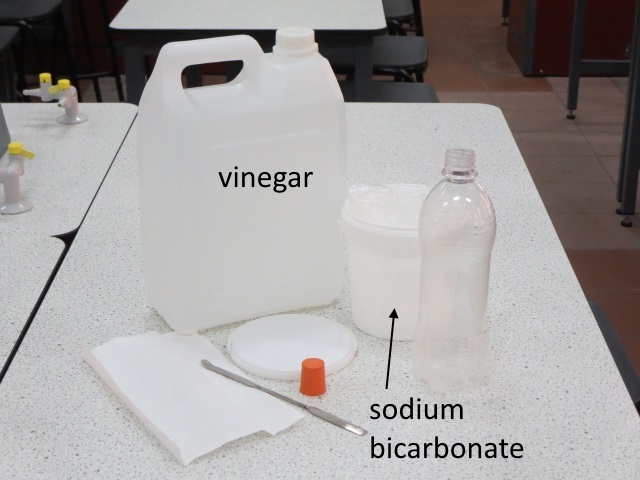 We use 150 ml vinegar and 3.5g sodium bicarbonate in a 600 ml plastic bottle. 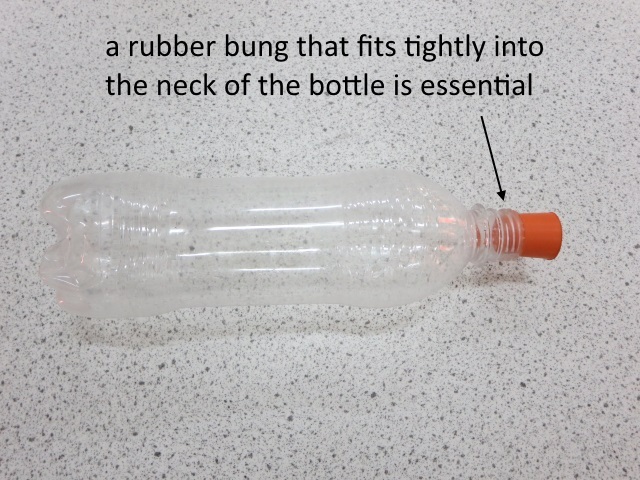 It’s easy to make a bicarb rocket if you have a rubber bung which tightly fits into the top of the bottle. 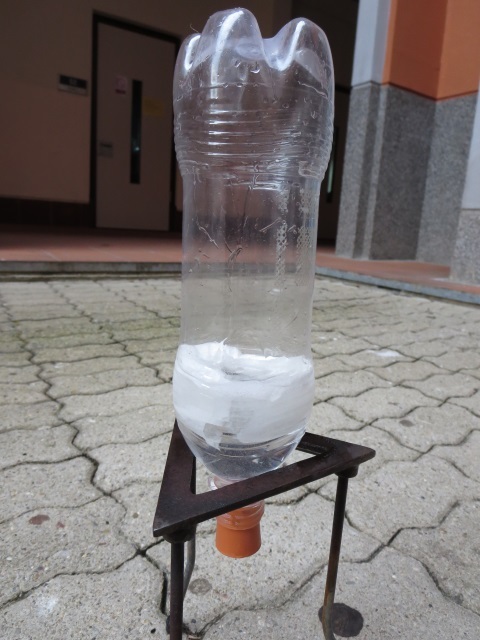 We use a tripod to launch from as shown below and can easily reach a height of a three storey building using these materials. 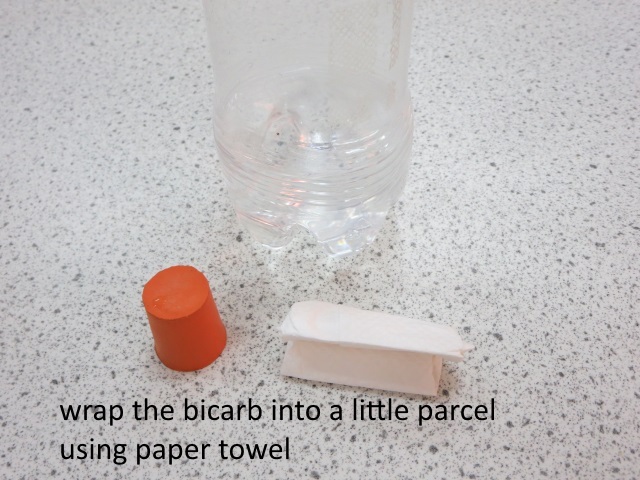 Here are some .gif animations of various bicarb rocket flights. 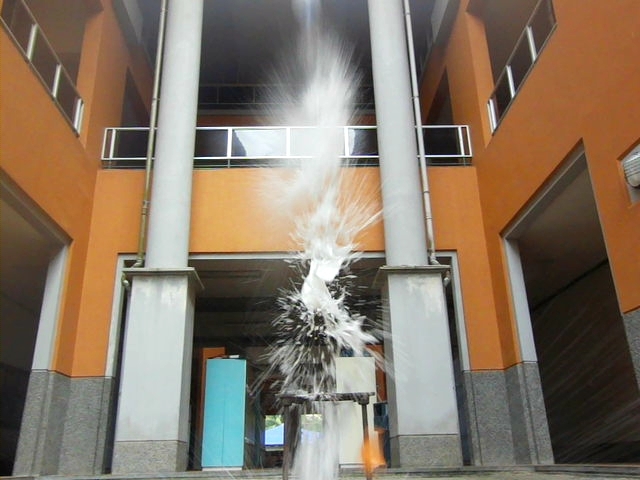 Most of them were recorded at 240 fps (frames per second) using a Casio EX-FH100 camera. 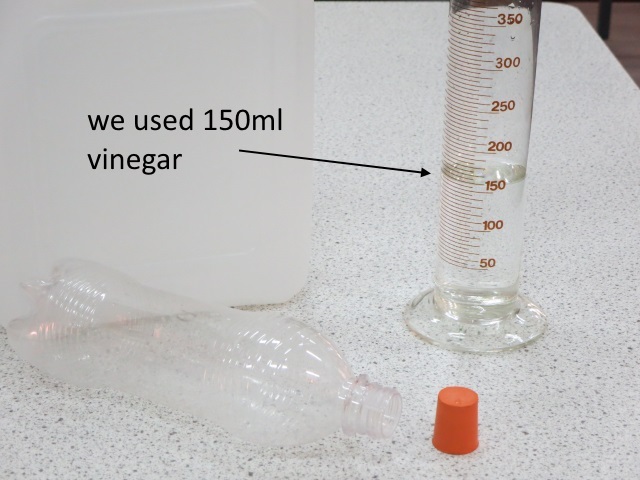 Too close – do you want vinegar on that! 1. 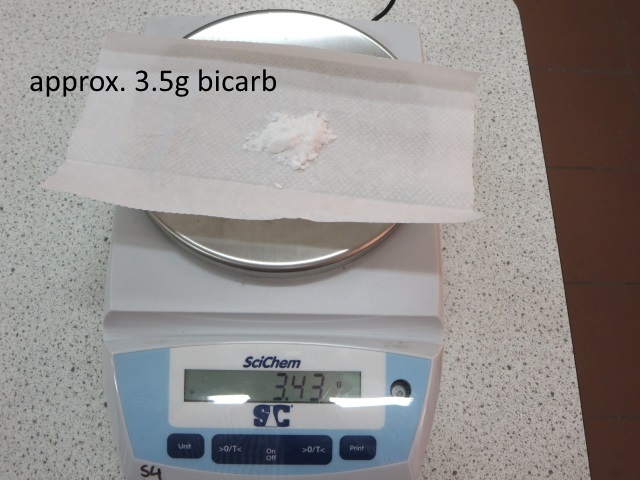 What are the word and balanced symbol equations for this chemical reaction? 2. 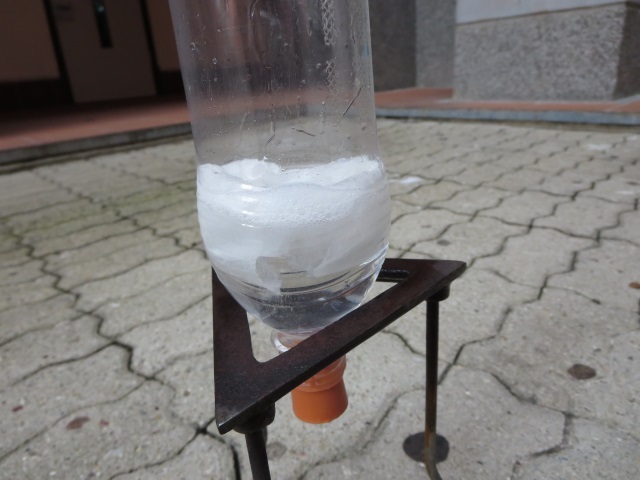 What is it that actually propels the rocket upwards?